Holiday He-Man MOTUC from Super7 In-Hand Images! 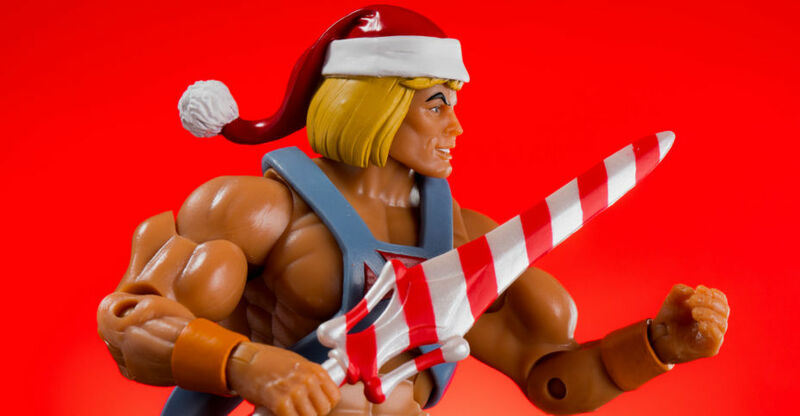 Last month, Super7 dropped a surprise offering for Holiday He-Man, a Christmas themed version complete with Santa hat and candy-cane striped sword. On top of the reveal, they let us know that he was shipping pretty soon after, no year long pre-order waits. Lo and behold, that was legit because Holiday He-Man is here! We’ve run him through a quick festive gallery showing off his new gear and head sculpt. Read on to check it out! Happy Holidays from Eternia! Back in 2016, Mattel decided to stop their Matty Collector service and transferred the MOTUC and related lines to Super 7. They took over doing standard MOTUC and the Club Grayskull versions, which were the core characters redone with a cartoon look and feel. Wave 2 of Grayskull got revealed at Toy Fair 2017, with pre-orders going up in May of last year. Originally slated for an end-of-2017 release, they are finally here! 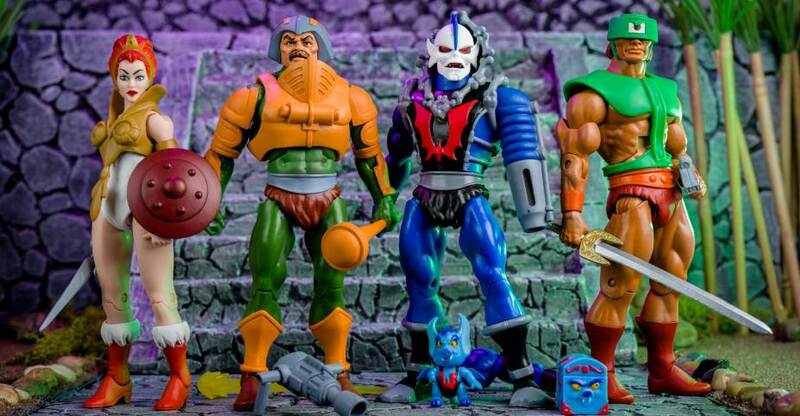 Man-At-Arms, Teela, Tri-Klops and Hordak are all now shipping from Super 7. We have our set and have run them through their paces. Check out over 140 HD images of all 4 figures after the break! 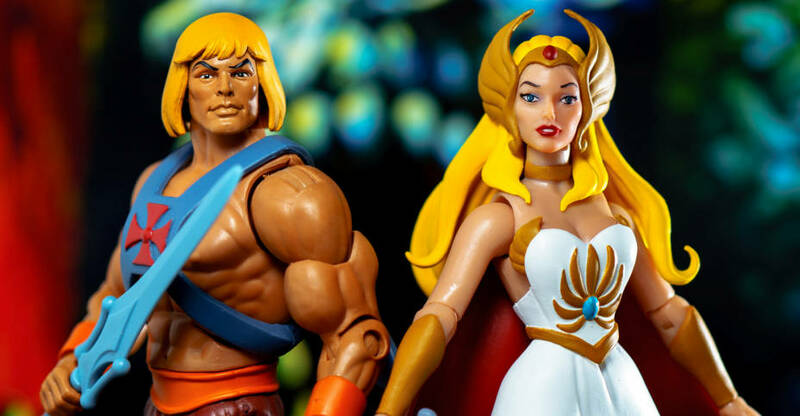 Pre-Orders for wave 3 of Club Grayskull are still open as they agreed to keep it open until after everyone had wave 2. And now we do, so it should be closing soon. Clawful: Haha! He-Man is finished! He-Man: Guess again, Lobster lips. Mattel’s Club Grayskull wraps up this month with the release of Clawful. Clawful is sporting a toon accurate deco complete with his mace and the Horn of Evil! 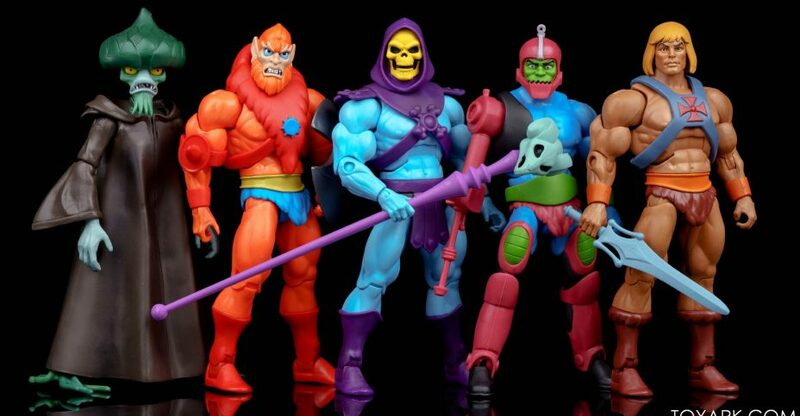 This gives us, at the moment, 6 baddies and He-Man in Filmation style offerings. 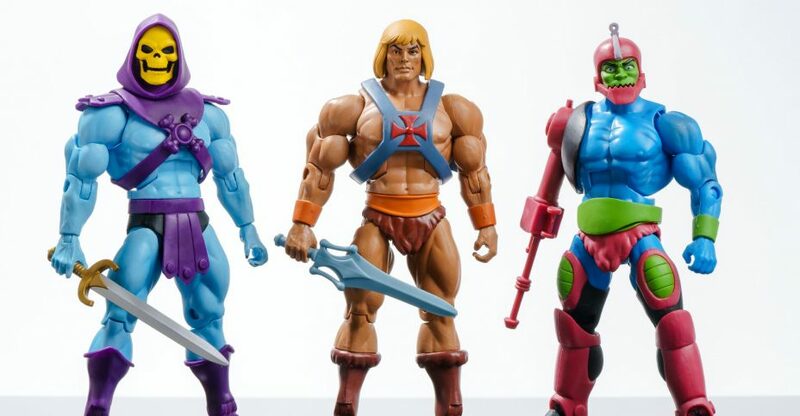 Super7 has the MOTUC license and is working with the Four Horsemen to continue Masters of the Universe Classics overall, so hopefully we will get some additional Filmation figures down the line. Until then, let’s check out Clawful and the full line up after the break! I have no loyalty to Skeletor. It’s his power I want! Some day, I’ll seize it from him and then all Eternia will feel my might! 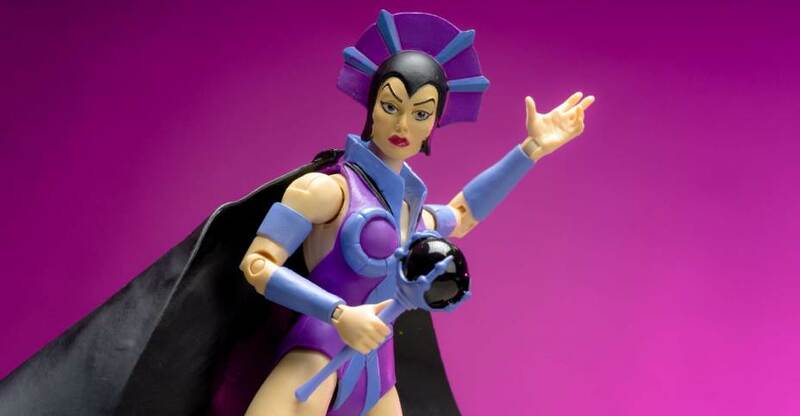 Mattel’s Club Grayskull is winding down for now with the most recent release of Evil-Lyn. Evil Lyn continues the baddie line up, filling in the ranks of Skeletor nicely. She comes packed with 2 heads (with and without helmet), a Magic Wand and a show appropriate Coridite Crystal. We’ve run her through a quick set after the break, read on to check it out! MattyCollector‘s Club Grayskull subscription included a figure only available via the sub, a toon accurate version of a figure never produced in the original line – Evil Seed. Evil Seed appeared in the original cartoon episode titled “Evilseed” where he reaped chaos on Eternia as a rogue agent forcing He-Man and Skeletor to work together and save the day. Now we can recreate that epic adventure in toy form with this month’s second figure! Check out Evil Seed after the break! You pathetic pair of pitiful pinheads! 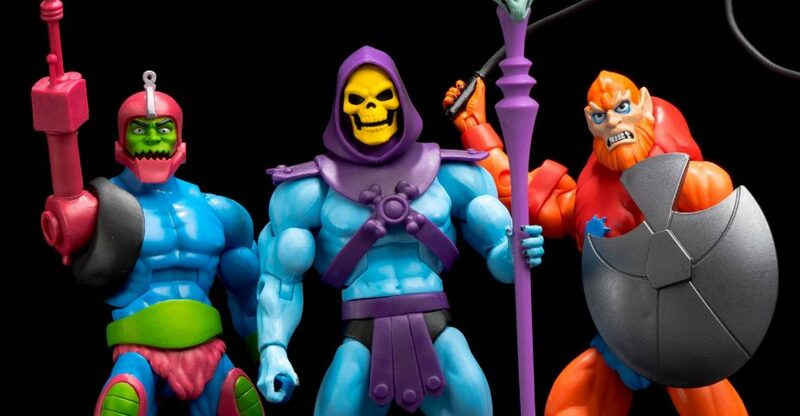 Mattel’s Club Grayskull, a cartoon themed redo of Masters of the Universe Classics has just shipped it’s 3rd figure and it’s none other than Eternia’s biggest baddie – Skeletor! The Overloard of Evil gets a new look closer to his toon version with a new head, show accurate sword and staff and simplified armor. He-Man and Trap-Jaw were really great entries in the series, but Skeletor knocks it out of the park. Let’s take a closer look after the break! 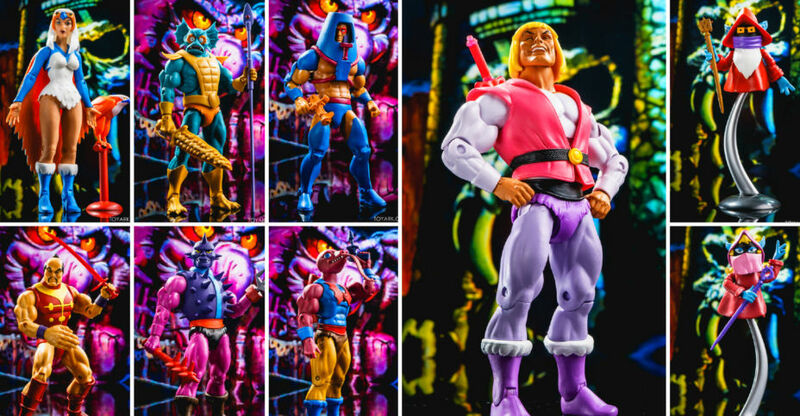 Mattel’s Club Grayskull, a cartoon themed redo of Masters of the Universe Classics, just dropped it’s second figure after He-Man, and that figure is none other than Trap Jaw! 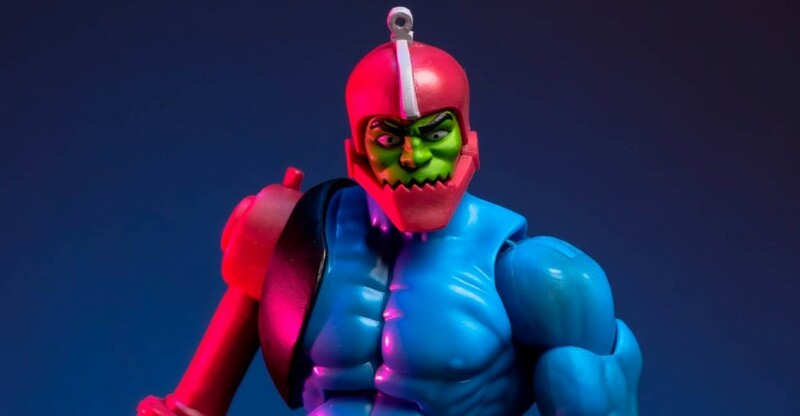 Trap Jaw features a simpler get up from his original MOTUC release with flat bright colors and a red arm to match his cartoon appearance. His alternate hands also come from the show as they are a giant fly swatter and bow-like gun rather than a clamp and hook. We’ve run Mister Trap Jaw through the motions and have over 60 shots of him in action after the break!